Get a Nevada County Traffic Ticket? You Can Beat It! Did You Get a Ticket in Nevada County, California? You can fight Nevada traffic tickets by getting them dismissed much easier than you may think. In Nevada, California, drivers are allowed to contest a traffic ticket using a Trial by Written Declaration. This is best way to fight a traffic ticket without going to an Nevada courthouse or hiring an expensive Nevada traffic ticket lawyer. We have found this to be the best way to contest a California traffic ticket, period. This option is available to every driver who receives a traffic ticket in Nevada, California. In fact, if you turn over your traffic ticket you will see that a Trial by Written Declaration is listed right on the back of your ticket as one way to fight it. This process has been around since 1978 to avoid having to pay traffic ticket fines. TicketBust has been helping California drivers prepare Trial by Written Declaration’s for over 14 years. In fact, tens of thousands of vehicle tickets in California have been contested using our system. We are the original traffic ticket fighter and the TicketBust system has been developed specifically to prepare all your documents properly based on how you answer a few questions. This way you can fight your ticket, knowing you have maximized your chances of having the court dismiss your Nevada County traffic ticket. TicketBust service will prepare your full defense package for you, which includes your Trial by Written Declaration and all the defense documents required by Nevada traffic court. Fill out the yellow form to fight your Nevada traffic ticket now! Did you know that you aren’t allowed to pass the white limit line when you are stopped at an intersection? From our experience, this can be a common ticket issued in the county of Nevada, so be on the lookout and stay behind that solid white line. If you find yourself having received a traffic ticket in Nevada, give us a call or fill out our form to see how we can help! Nevada is the Spanish word for “snowy” or “snow covered” and was derived from the name of the Sierra Nevada Mountains. 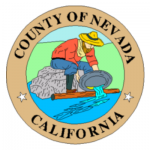 Nevada City was actually the first to get its name, before the county formed in 1851 and the neighboring state also took the name Nevada in 1861. One of the most well-known stories of the area is of the Donner Party (for which Donner Lake derivied its name). The Donner Party was crossing the west in a wagon train in 1846, when due to a heavy early snowfall where trapped in the Sierra Nevada mountains. Their supplies ran low and after months without relief, only 48 of the original 87 members of the party survived having eaten the dead for survival. California historians describe this tragedy as one of the most bizarre in western-US migration history. The County, now home to just under 100,000 people, was officially formed in 1851 and encompasses 974 square miles. Nevada County closely resembles the Deringer pocket pistol on a map and includes Penn Valley, Nevada City, and the town of Truckee. It also shares a border with the state of Nevada. Nevada County and Nevada City in particular, has been listed among the top 10 travel destinations by Lonely Planet and the second best “river city” by Outside Magazine. Visitors can explore native wildflowers through tours of the county, take a wine and whitewater adventure, or mountain bike through the lush forests and river trails.